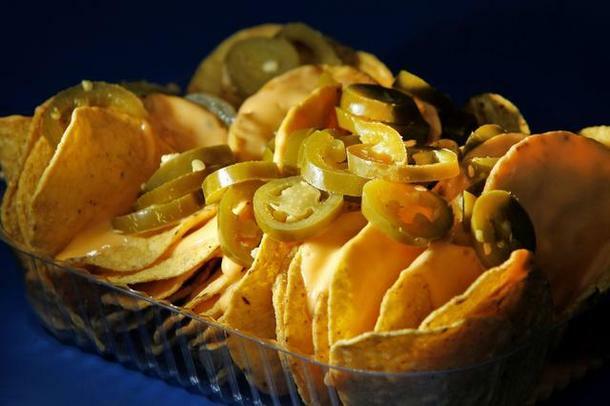 Bazaar & Novelty offers all you will need for perfect grab and go nachos. We carry a variety of dispensors, warmers, chips, cheese and more. Bazaar & Novelty carries two different types of cheese warmers - one for low volume and one for high volume. Our most popular is the 3.5oz cheese cup warmer which is designed to hold our 3.5oz prepackged cheese cups. This allows for little to no waste of the cheese which is great for those with a lower volume. The next option we carry is the larger pouch dispensors which are ideal for high volume locations such as hockey rinks or stores near schools. An example of our most popular model! Chips and cheese may not be exactly as shown. For any furthur information or to place an order please contact us here. For more information or to order any of these products please contact us here. Bazaar & Novelty carries several varieties of hot dog cookers. The most popular and easiest to maintain is the roller grill from Cretors. These machines are welded together and have only one moving part to make them easy to use and easy to maintain. We offer them in two sizes - our small one which can hold up to 25-30 hot dogs and the larger double roller grill which can hold 50-55 hot dogs at once. We also stock sneeze guards and bun steamers to go with either roller grill. For more information or to place an order please contact us here.